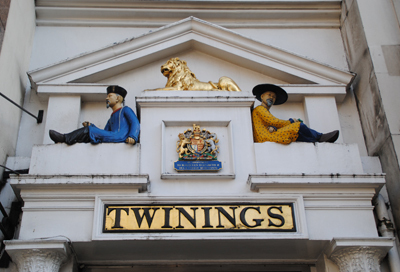 • Twinings – The Austen family is known to have bought their tea from the famous merchant’s 300-year-old premises which still stands in the Strand near Temple Bar; a letter survives which Jane wrote to her sister Cassandra in reference to an order. • Newton’s – A linen drapers formerly located at 14 Coventry Street just off Leicester Square. Jane is known to have visited here with her sister Fanny. • Wilding & Kent – Upmarket drapers, located in Grafton House on the corner of New Bond and Grafton Streets. Jane, who is known to have visited frequently, complained of the queues there. • Layton & Shear’s – A fashionable mercer’s shop located at 9 Henrietta Street, Covent Garden, conveniently located next door to where Jane lived for a time with her brother Henry. There are others – this is just a sample!